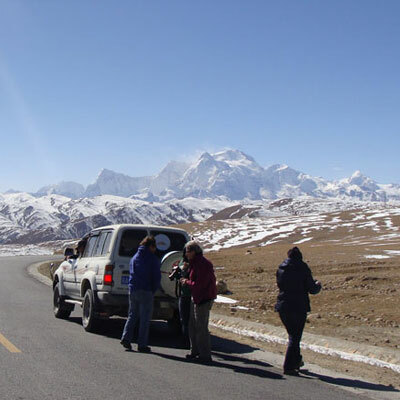 Kathmandu EBC Lhasa Tour - An Adventure Overland tour to Lhasa via EBC! The Kathmandu Everest base camp Lhasa tour is one of our exclusive tours in Tibet. We at Alpine Eco Trek are specializing in this trip. 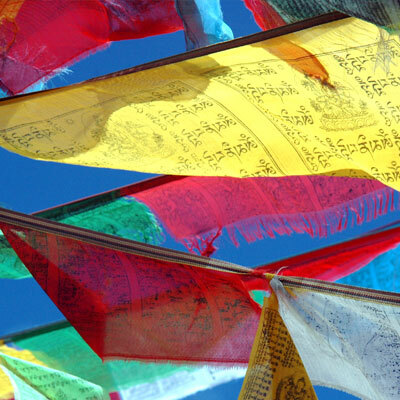 Kathmandu EBC Lhasa tour is thoughtfully designed to explore the beauty of Tibet without missing the major features. In Kathmandu, there are a few travel agencies operating the Kathmandu EBC Lhasa tour and we are proud to be one of them. Since the beginning we have been operating this tour as a group and private tour at an affordable price. 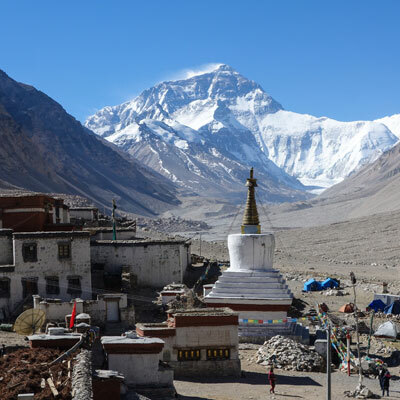 Kathmandu EBC Lhasa tour is suitable for those adventure seekers who wish to explore the world's highest base camp, arid landscapes, ancient culture and tradition of Tibetan Buddhism. Also, if you are searching for an adventure overland journey that ends in Lhasa, then this is the right one you are looking for. You would be able to end your tour in Lhasa and take a train journey to mainland China or fly back to Kathmandu. Kathmandu EBC Lhasa tour is a comprehensive tour of Tibet with visits to the cultural and historical attractions of Tibet. The tour includes all the important places of interest in central and south part of Tibet, including a visit to Rongbuk monastery and Mt. Everest base camp. The fascinating journey from Kathmandu to Lhasa including north Everest base camp is one of the dreams for every explorer/traveler. The overland journey grips you more adventure on Tibetan land. The Rongbuk monastery itself is one of ancient and highest monastery in Tibet. As we know, Tibet is described with vast in terms of geographical and altitude. But Kathmandu EBC Lhasa tour is not that much vast tour because we organize dozens of groups in this region. The tour is safe and suitable even for the child to all kinds of senior people. The concentration must be given just in the time of briefing about tour itinerary. Mode of Tour: Drive in and fly out. Day 02: Nyalam to Tingri, drive 5 hrs. Day 03: Tingri to Rongbuk, drive 4 hrs. Day 04: Rongbuk to Shigatse, drive 8 hrs. Day 05: Shigatse to Gyantse, drive 2 hrs. Day 06: Gyantse to Lhasa, drive 7 hrs. Day 09: Flight from Lhasa to Kathmandu or train to China. Trip Cost: If you wish to do this journey as a private tour with your friends, family or relatives, then please send us an inquiry letting know us that the number of people in your group and the standard of hotels that you would like to use in Lhasa and on the way, and then we provide you the best quote as per your requirements. You will departure from Kathmandu in the early morning to Nepal – Tibet boarder enjoying the great local landscapes driving along the friendship highway. There will be immigration formalities both Nepal and Tibet side then after you will continue drive up the steep switch back road to Nyalam. Stay a night in Nyalam with a very basic gust house (dormitory room with common toilet). Morning breakfast then commence the journey towards Tingri which goes across the Tibetan plateau with stunning Mountain views from Lablung-La pass (5050m). Of course, Tingri is an old town, from where you will be able to watch more views of the Mt. Everest and Mt. Cho-Oyu. Overnight in Tingri with a very basic guest house (dormitory room with common toilet). Today you will reach to Mt. Everest Base Camp today, Rongbuk, where the highest Monastery in the world lies. It is situated some 8 kms from Everest Base Camp. You will be able to view the magnificent valley of Mount Everest and Cho-Oyu that can be seen from the guest house. Overnight in Rongbuk with a very basic guest house (Dormitory room with common toilet). There will be a morning excursion to the Mt. Everest Base Camp. As usual after the breakfast, we head to Shigatse, which is one of the historical towns of Tibet. On the way, you will enjoy Sakya Monastery, which is one of the largest Monasteries in Tibet for Sakyapa group of Mahayani Buddhism. In Shigatse, you will visit the Tashilungpu Monastery; this is the official Panchen Lama’s residence, built in 1447. Overnight in Shigatse at a comfortable hotel with attached bath rooms. After the visit in the Tashilungpu Monastery of Shigatse, there will be a short drive to Gyantse with its amazing sites – Khumbum, Palkor Chode Monastery and Gyantse Dzong. Overnight in Gyantse at a comfortable hotel with attached bathroom. 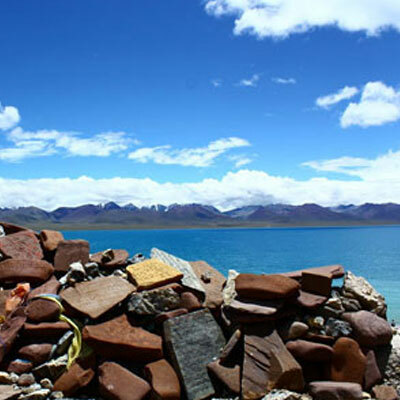 The main feature of this day is the beautiful turquoise lake (Yamdruk Tso). After crossing the Kamba- La, Karo La and the Yarlung River (Brahmaputra), the journey ends in Lhasa. Overnight in Lhasa at a comfortable hotel with attached bathroom. There will be the sightseeing tour with a guide of Lhasa. You will visit Jokhang temple, Barkhor Bazaar, Potala Palace and Norbulinkha Palace (the summer Palace of Dalai Lama). Overnight at a same hotel. There will be the sightseeing tour with a guide of Lhasa. 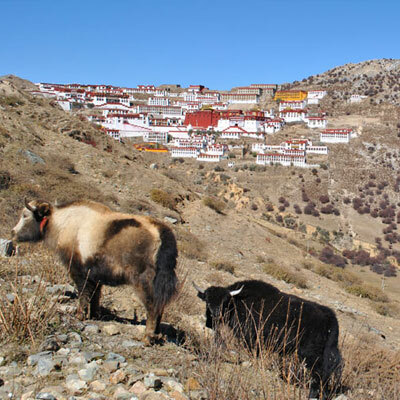 You will visit Drepung Monastery and Sera Monastery and Tibetan medical center. Overnight at a same hotel. 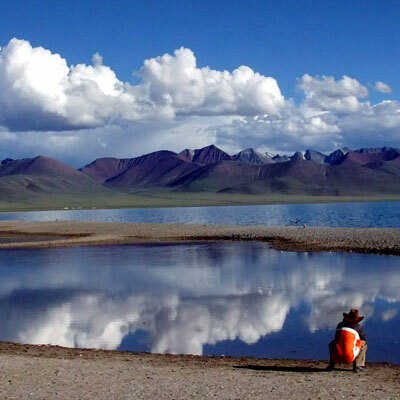 Day 9: The tour ends / Departure from Lhasa to your desired destination. Our website contains as much information as possible about Kathmandu EBC Lhasa Tour. However, if you have any questions regarding trip, please feel free to contact us. We answer all enquiries within 24 hours. If you want to book a trip, you can send us an email or contact us directly by phone: 0977 98510 36844 (Ram Kumar Adhikari).